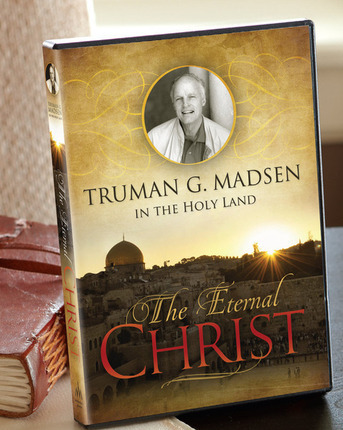 Walk the paths Jesus walked in the Holy Land with master teacher and scholar, Truman G.
enhance your knowledge and understanding of the Eternal Christ. TRUMAN G. MADSEN received graduate degrees in philosophy and the philosophy of religion from the University of Utah and Harvard. He served as the director of the Judeo-Christian Studies Center at BYU and as director of the Jerusalem Center for Near Eastern Studies. 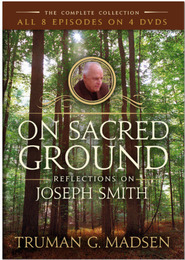 He is widely recognized as an expert on the life and teachings of the Prophet Joseph Smith. 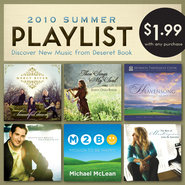 Brother Madsen, who passed away in the summer of 2009, was a prolific author who is also known for his memorable audio and video presentations on a variety of gospel subjects. My missionary son sends a big thank you for this wonderful DVD. 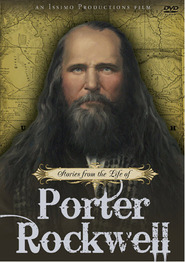 The missionaries in the field just loved it and found it very uplifting. 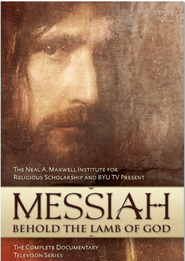 When people try to tell you that you cannot have "pure Spirituality" and "pure scholarship" at the same time, hand them this DVD collection. No honest person can, I believe, watch this awe inspiring series and not walk away KNOWING that this is a scholar with a personal testimony. Yes, science and scholarship are not out of harmony with the Spirit. You just have to have a truly spiritual giant to show you how the two can be so much in harmony, and Truman Madsen is that giant. I thank my Heavenly Father for his two seminal works (this one and the one on Joseph Smith) that bring the Spirit so abundantly into my home! I cannot imagine a collection being complete without these two series -- and these two series might just make a complete collection all on their own. Truman G. Madsen is a remarkable man! The Eternal Christ is a walk through Christ's life in the Holy Lands. 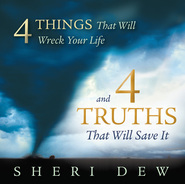 This DVD set IS about the Savior's life. Brother Madsen knew Christ, knew His ministry and has shared this with us. I couldn't stop after disc 1. I spent an entire Sunday afternoon and well into the evening to watch the entire set. The story he tells is one of wonder, amazement and sorrow. But most of all, love. I love this set - I think it's the only way I'll get to walk in the Master's footsteps and see His land. It's so heart-warming and wonderful to receive a testimony through these DVDs. Thank you so much. I can't say enough good about this movie. Truman Madsen was an amazing teacher. ... to have someone like Bro. Madsen teaching us. I've started watching these on Sunday afternoon to keep the Spirit alive after Church. The amount of knowledge and insights he has is amazing. And a great bargain - definitely worth 3 times the price DB is charging. A marvelous testimony of the Savior. Thank you, Bro. Madsen. 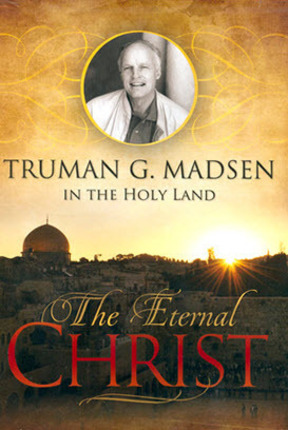 His example i.e., Knowledge of the Gospel, putting it in his life, obedience to every point of doctrine, powerful testimony, a true disciple of Christ, a personal relationship with Jesus Christ, in-depth study of the scriptures, Truman Madsen, an absolute example to us all, to be like Jesus Christ, he learned the True Love of Christ, the main reason we came to this earth, for that very purpose. What a wonderful and beautiful example and teacher to pattern ourselves after. We will see you again Truman. A beautiful tribute to him in a wonderful moment in time.